With its scorching summers and dangerous creatures, Australia’s famously tough terrain can be said to have forged a nation of survivors. It is little wonder then that the Australian Graduate School of Management (AGSM) at the University of New South Wales (UNSW) in Sydney is adapting to survive and thrive in a rapidly-changing business landscape. 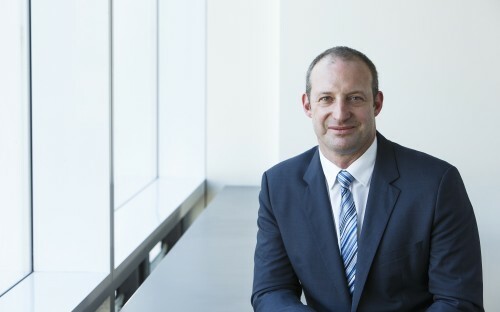 According to director of AGSM and deputy dean of UNSW Business School, Nick Wailes, the key to long-term success for both business schools and students today is readiness to change. Nick notes that nowadays MBA students enrol for a diversity of reasons, from wanting to change careers to starting their own businesses. Indeed, he believes that the nature of businesses themselves has changed under the influence of constant technological and organizational innovation. As businesspeople across the globe abandon the traditional linear career model in droves, some course-runners might be daunted by the challenge—but not at the Australian Graduate School of Management. “I think I’m much happier to be in this period than maybe 30 years ago, when it was much more boring and straightforward,” remarks Nick. As a result of MBA students’ diversity of purpose, and the resulting need for flexibility from education providers, Nick predicts that business schools the world over will be required to offer a selection of specialized MBA courses in the near future. In addition to more choice between programs, Nick predicts that choice within courses will become a pressing priority for students: “People are going to want to be able to curate their ideal set of subjects that matches their aspirations,” he says. This drive towards inclusive innovation is already being reflected in AGSM’s course catalogue. The school offers three types of MBA: the full-time MBA, taught in Sydney and ranked in the Financial Times’ top 100; the part-time MBA Executive; and finally the MBAX, an online MBA that offers specializations in technology, social impact, change management, and finance. In these courses, AGSM is revolutionizing its teaching methods in order to deliver a uniquely impactful learning experience. Through the full-time MBA's introductory leadership courses, students work with ex-military leadership coaches in the Australian bush to improve their teamwork and leadership skills—a uniquely Australian form of business education. But, it’s not just the delivery of the course material that’s innovative: it’s the material itself. Nick says that the Australian Graduate School of Management has worked to move away from traditional statistics and numeracy in recent years, in order to focus more closely on data analytics. “Organizations are awash with data,” he explains. “Contemporary managers really need to understand how they can find that data, what they can do with it, what the techniques of drawing inferences from the data [are], and also how you use that to drive managerial decision-making. The key, according to Nick, to creating an innovative program, and producing innovation-minded grads, isn’t about absorbing specific information—it’s about cultivating adaptability. “We can’t, in an existing program, keep people up-to-date with everything that’s going on now. Actually, that’s not great preparation for a career,” Nick says. Leaders and organizations, he adds, have to learn quickly what potential emerging technology holds, and how to harness that. That is what's important.